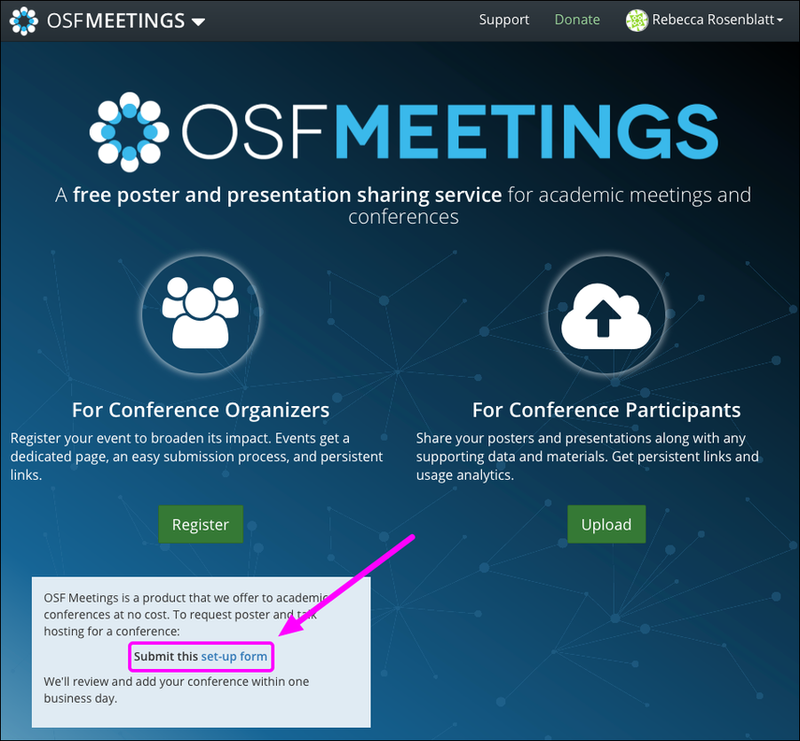 Registering your event with OSF Meetings allows attendees to access posters and talks before, during, and after the conference. 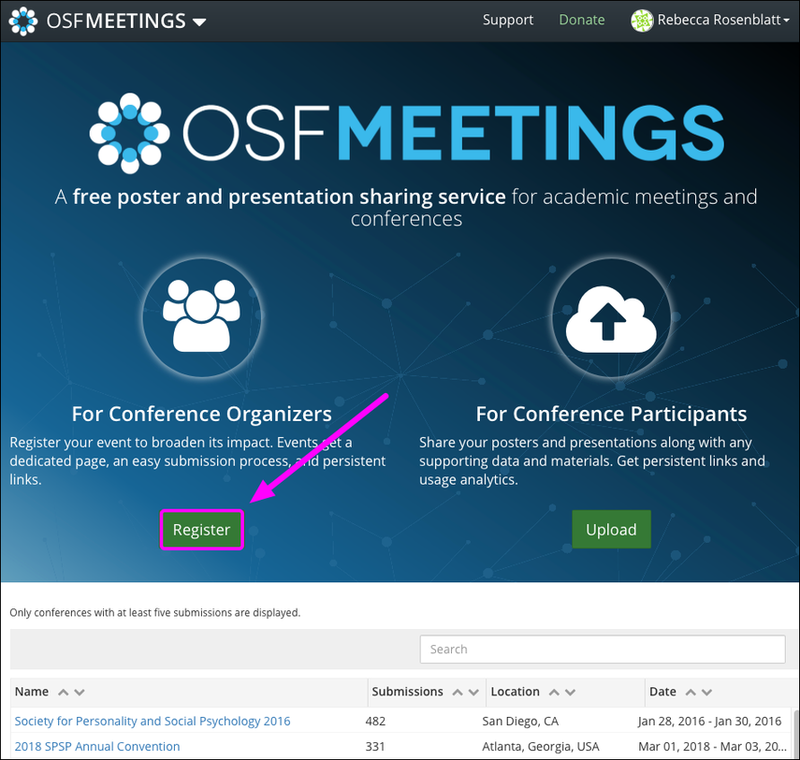 Events are given a dedicated, persistent page on OSF with the option for conference branding. 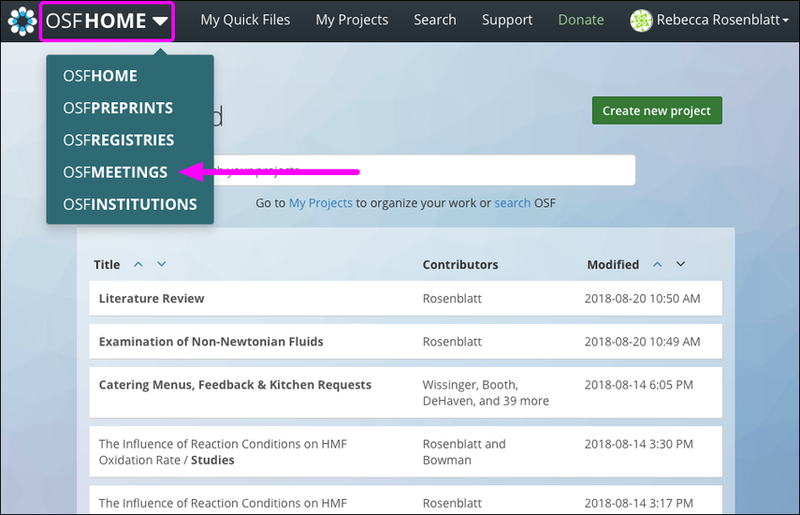 Click the OSF Home button in the navigation bar, then click OSF Meetings from the drop-down menu. Then click the set up form link that appears. 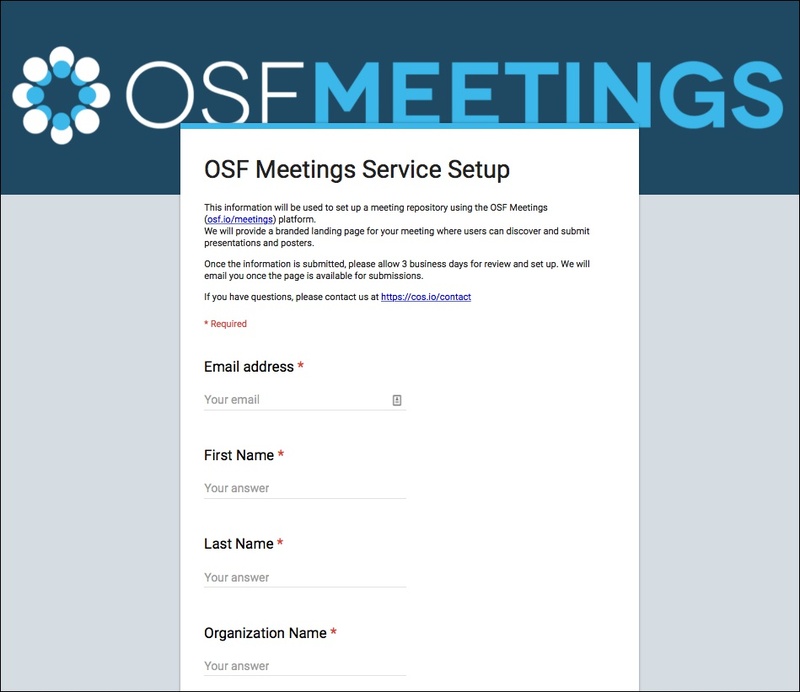 Fill out the "OSF Meetings Service Setup" form with your meeting information, then submit it when you're ready. We will receive your meeting request upon submission and set up your meeting page for you. You will be notified when your meeting page is ready. 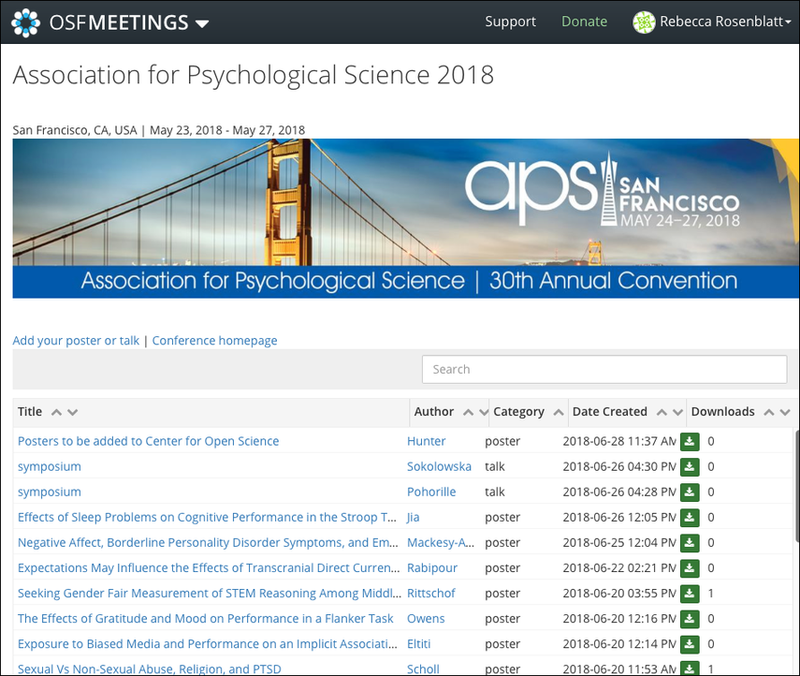 If you provide a logo, the logo will appear as a banner across the top of your conference site. Submission instructions and a link to the conference homepage will appear below the logo. Submissions are listed with title, author name, category, date created, and number of downloads.